Rhubarb Triangle — Ilkley Brewery Co. Gods Own Country is famous for many things.. The Dales, flatcaps, straight-talking, cricket, puddings… and rhubarb. The Rhubarb Triangle is right on our doorstep, and so it makes complete sense to brew with this fantastic root. Indeed this is not our first foray into the wonders of the plant that Marco Polo supposedly introduced to these shores after a trip to Siberia. We brewed a Saison called Siberia many moons ago. This time around though, it’s an easy-drinking pale we’re after. We wanted to capture the essence of rhubarb and custard, sweet with a touch of sharpness to balance. 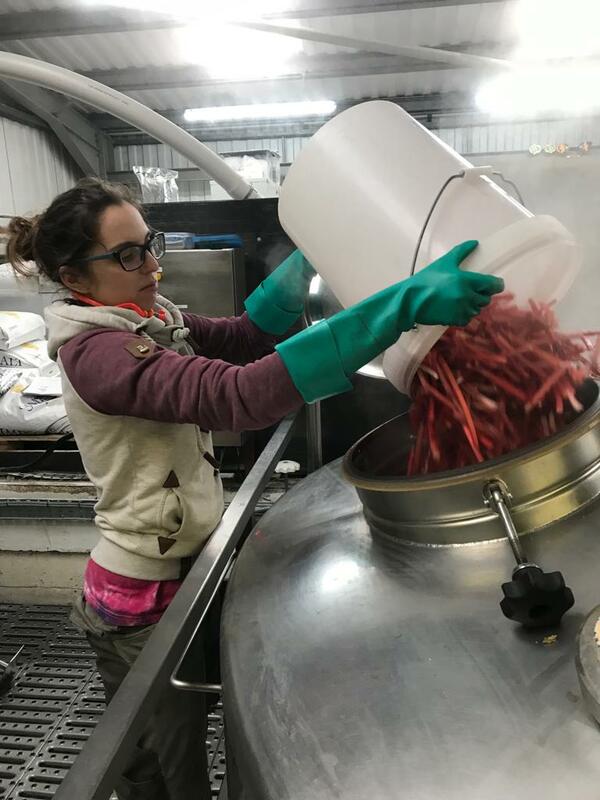 We brewed with over 60kg of fresh rhubarb, and so added lactose to the boil to underpin it all and add that sweet element. The result is a subtle, very moreish and fresh pale ale.